Clarity is one of the major factors to consider when investing in a diamond. It is a diamond’s clarity that affects how light penetrates the internal structure of the stone. A high clarity grade means that the diamond appears clear and nearly transparent. The role of diamond clarity is more important in some jewelry pieces than in others. For a diamond engagement ring, clarity provides the spark and fire that makes a diamond so desirable. A dull engagement ring isn’t much of a showstopper. But what about earrings? Or bracelets and necklaces? For every type of jewelry, clarity is important…but in some instances, not as important as the other aspects of the diamond. Rings (especially diamond engagement rings) are highly affected by the clarity of the center stone. A clarity grade will range from Internally Flawless (“F” or “IF”) to Included (or “I”). A stone that has an “Included” clarity may be marred by cracks, large crystal clusters inside the stone, visible carbon deposits, or even chips. The SI1 grade may suffice for a smaller budget, as the most of the flaws within an SI1 clarity diamond are only visible under magnification and should not detract from the diamond’s brilliance. However, selecting a higher clarity grade ensures that the integrity of the solitaire and its beauty are not sacrificed. Take a look at our Diamond Clarity Guide for First-Time Buyers for more information. Diamond engagement rings feature a dominant center stone, but wedding rings are typically of a simpler design. 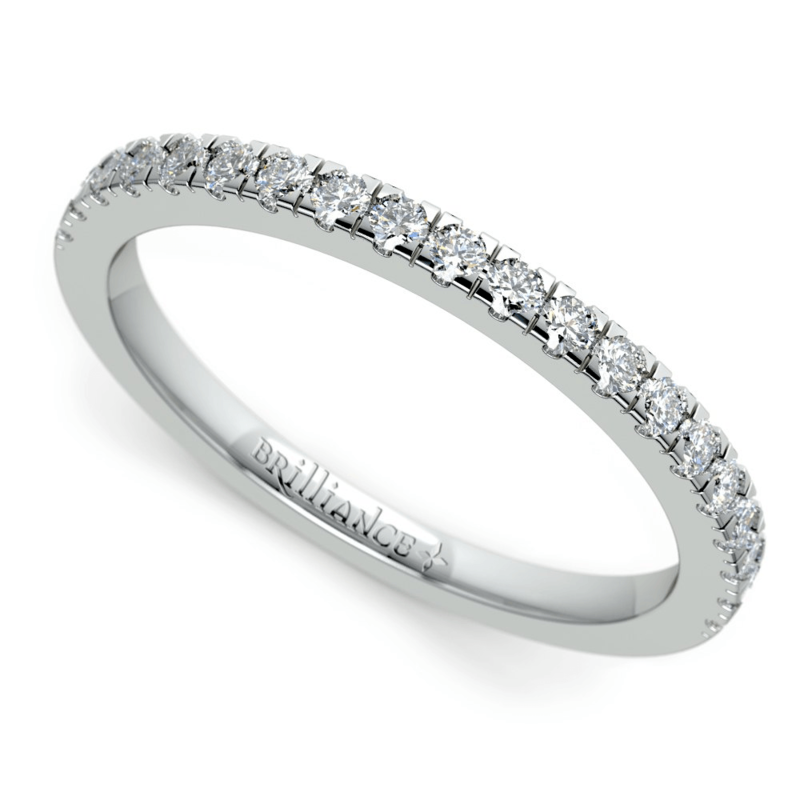 Most wedding rings that feature diamonds have smaller stones embedded in the band so no single diamond stands supreme. Whether a row of stones is pave set or channel set, the clarity is not incredibly important to the appeal of smaller diamonds. Since the diminutive size of these diamonds makes flaws more difficult to notice, buyers can select diamonds with lower clarity grades. Wedding bands are not designed to produce incredible fire, and often, the diamonds act as delicate details, not centerpiece drama. Diamond tennis bracelets are an investment piece that can be worn with anything. While diamond color and cut matter for optimal beauty in a bracelet, the clarity may be sacrificed…a little. Diamonds in tennis bracelets are often small, so it is difficult to see any internal flaws or cloudiness. SI1 or SI2 are the lowest clarity grades that buyers should accept in diamond tennis bracelets, but color and cut should not be sacrificed (always shop for higher grades). 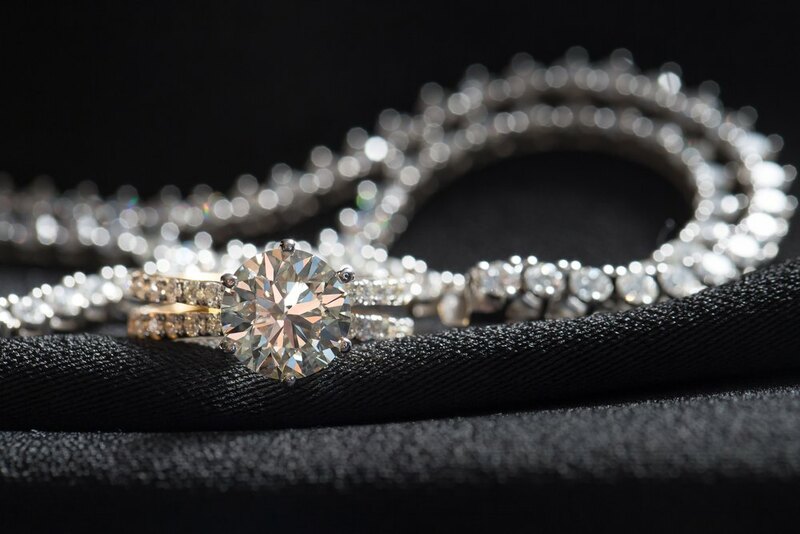 One-carat diamond tennis bracelets sold by Brilliance feature clarity grades of SI (slightly included) or higher and high grades for cut and color. 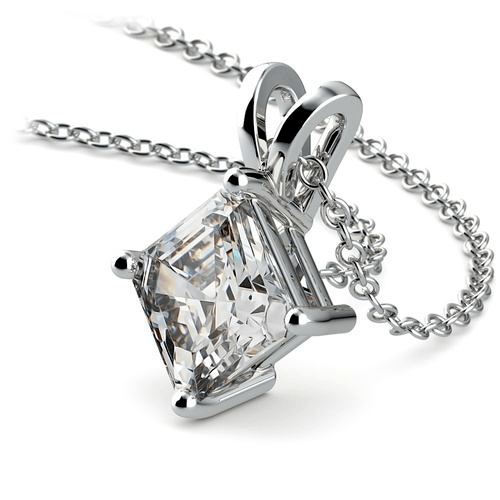 Like with engagement rings, clarity grade is important to the look of a diamond solitaire pendant. Many pendants are designed to sit at the base of the neck or throat; they demand attention. For a pendant, choose a diamond that radiates fire and select high grades across cut, color and clarity. While some SI2 grade stones might be more economical, research the individual stone to understand the internal flaws. For optimal beauty, opt for SI1 or higher. 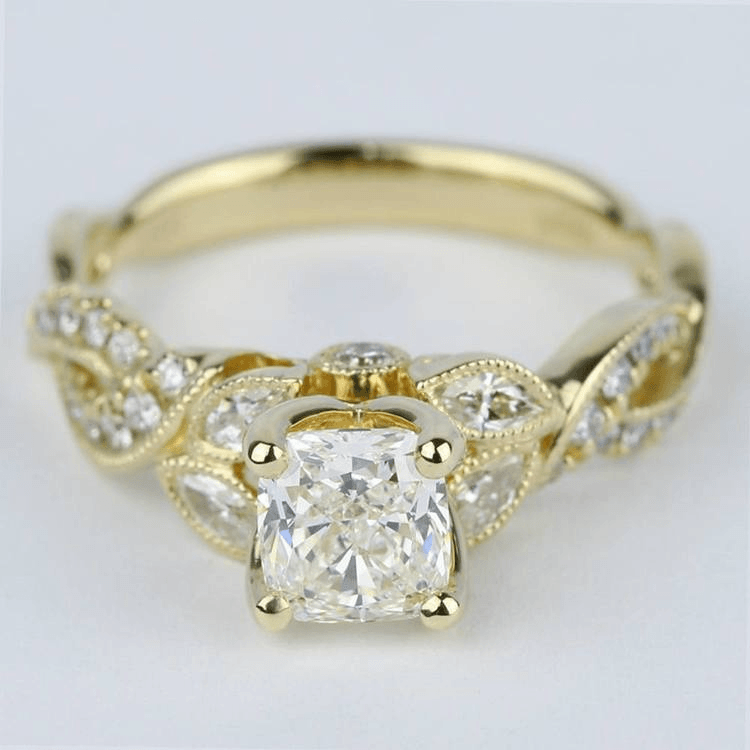 The role of clarity is most pronounced when buying solitaire centerpiece stones for pendants and engagement rings. For solitaire investment pieces, opt for a high clarity grade to ensure optimal beauty and fire. Lower clarity grades, however, may be selected for diamond wedding bands and diamond tennis bracelets. When lowering the clarity grade, invest in a higher color and cut so that you don’t lose the beauty of the diamond.